Address Labels are compatible with all Dymo and CoStar LabelWriters. These are great labels for the price, and are always shipped quickly. Have never had any problems!! I have been ordering these labels for several years now. The shipping is always super fast and the product is great! Thanks Labelcity!! These labels have turned out to be the most useful size for my personal and business needs. They load easily, print reliably, and hold up well in normal use (they slowly fade in sunlight). Very good glue. It sticks to most surfaces and the label can usually be cleanly removed when necessary. The printing doesn't flake off. Good balance of flexibility (conforms to uneven surfaces) and strength. These labels are great in value and is a great product overall! I use this for work, and I never had a problem with them. I'm very satisfied with these labels! Shipping is fast too! We have been using these labels for 10 years now, and have never had any problems. They always print nicely and feed wonderfully. 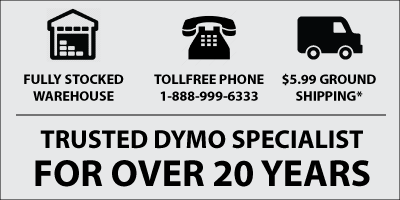 The label maker we have hear in the office is not a dymo label maker, but the dymo labels work perfectly for it. Will definitely purchase from tis site in the future. Labels are always shipped immediately and we have been ordering them for years. Never had a problem. Also very happy with the file folder labels. Best labels at the best price around. Been using these labels for about a year now, and they work great in the Dymo printer. No issues. Our company has been ordering from Labelcity for years. These labels are high quality. The ink does not smudge and even after being removed the labels can be easily re-affixed. The company has great customer service. Have used them for years. Never a problem. I have been ordering these labels from Label City for a few years. The labels are great and the shipping is fast. Also, the best price I have found so far! Great quality label and fast delivery. I ordered on a Wednesday afternoon and they were delivered on Thursday morning. Never and problems. These labels we use in my office for years. Never a problem and we order by the hundreds. <br>Always work, never jam, never an issue. Great labels and shipping is always fast! We continue to purchase from Labelcity.com as it is fast and easy. Great Item - Works Perfectly! Ordered 100 of these for my office. They work perfectly, and were way less expensive than other retailers. <br>Will be buying more for sure. We've bought these labels for years but last month, my boss suggested we try similar labels from a different company. They were horrible. Back to Label City we come! I have been using LabelCity labels for approximately 6 years for my Dymo printers and they have been high quality and easy to use. The prices are always very fair and the service wonderful. I'll keep using them for years to come. These labels have been our go-to for our trade show badge printing for over 10 years and they continue to do the job. Nothing fancy, just dependable and consistent. I stopped looking for substitutes.